Kanji tattoos have become one of the most popular ways to make a statement with a tattoo. 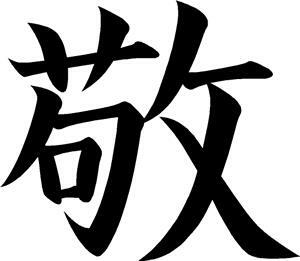 Kanji is the term for Chinese characters that are used in the Japanese language. There are two different types of characters that are used in written Japanese: kana, which includes the types of writing known as hiragana and katakana, and kanji. All written Japanese evolved from written Chinese, and were modified to create the different sounds of the Japanese language. Kanji in Japanese are typically characters from the Chinese language that have been adapted to mean Japanese words. The meanings in Chinese and Japanese can be the same but pronounced differently, or they may have entirely different meanings. 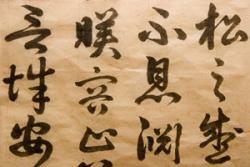 Some kanji were developed in Japan and are not seen in the Chinese language at all. Still other kanji are written in different forms but have the same meaning - the kanji may have evolved from the "old character style" into the "new character style", a change which took place around the end of World War II. Some people choose to get a kanji tattoo because they are of Chinese or Japanese heritage, and they want to show their cultural roots. For some more traditional Japanese people, a kanji as a tattoo would be frowned upon; generally, tattoos with kanji had meanings involved with criminal activity or jail time. Other Japanese tattoos also share this connotation. Non-Asians who get kanji tattooed on their body usually do so because they feel some sort of relationship with Asian culture, or because they want to make a statement that holds personal meaning without having it tattooed in their own language. Both men and women choose kanji featuring words that are powerful in their lives, such as faith, peace, love, luck or happiness. Still other people have their names, or the names of loved ones, translated into kanji and have those characters tattooed on themselves. There have been more than a few horror stories of people getting kanji tattoos that don't have the meaning they expect, or that are entirely fake. There have also been stories of people having profane kanji tattooed on their bodies by inexperienced tattoo artists who tattoo a stroke wrong, or put characters in the wrong order.If at all possible, make sure a person who can read Japanese goes with you to get your tattoo (if you're planning on choosing from flash) or that someone familiar with written Japanese draws up your tattoo for you. Most tattoo artists will be going by what the translation in their kanji flash book says, so if a character was mislabeled, you may end up with the wrong word. 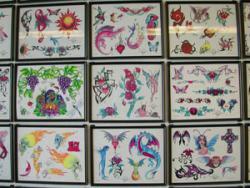 Hanzi Smatter is a site dedicated to incorrect use of hanzi (kanji) in tattoos and other western culture. Tribal Shapes has a section devoted to kanji sayings/words. Char4u will translate your name or saying into Chinese character/kanji for a fee.